Lifeguard Purification Systems was founded in 1988. To date, the company has sold and installed thousands of its products in swimming pools and spas around the world. Its products are also used in ponds, containments, industrial and cooling tower applications. The Company's first product was a microprocessor based Copper/Silver ionizer that incorporated an automatic pH controller. This combination evolved into the much simpler, less expensive versions incarnated in the MINERALIZER and CHEMIZER products we offer today. Recently The Company introduced the ECONOMY version of its popular MINERALIZER product. Extremely affordable, the new ECONOMY version offers the same biological effectiveness as competitive units 5 times its price. All primary products seen here on our web pages are designed, manufactured and assembled at our facility in Tampa, Florida. Lifeguard products are distributed through pool/spa dealers, home improvement centers, and web-direct throughout the USA. Since it's inception, Lifeguard's mission has been to develop water purification products that reduce the users reliance on, and exposure to, chemical purification agents like chlorine. 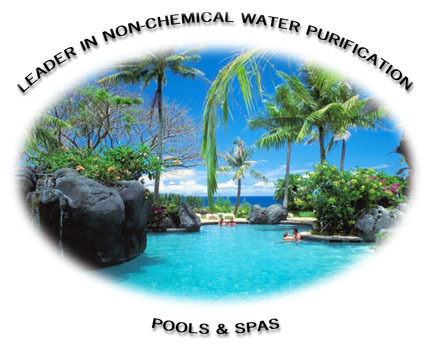 Our MINERALIZER, OZONIZER, and METALFOAM products reduce the chlorine required to purify a pool or spa by as much as 90%. We have developed a great reputation for very reliable, cost effective devices. Undoubtedly, nearly 100% of the thousands of electronic water purification devices we have manufactured since 1988 are still in use today.